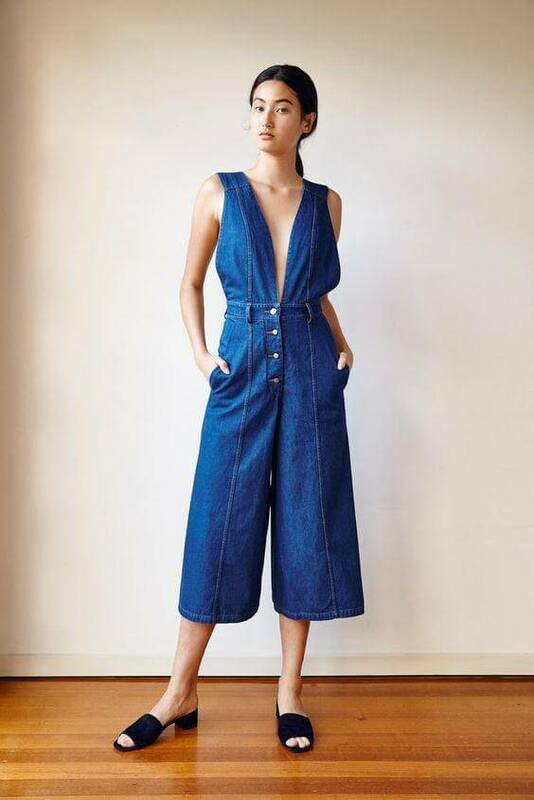 Quite similar to men’s coveralls, a jumpsuit is an all-in-one garment that dominated the fashion world for years—and it is still going strong. Unlike coveralls, jumpsuits are stylishly cut staples with a flair of femininity. They become even more popular with the arrival of the hotter months (just like these days). Nothing can stop you from being in the spotlight, if only you know the most appropriate ways to pull off a jumper. You are in luck since I am here to guide you all. 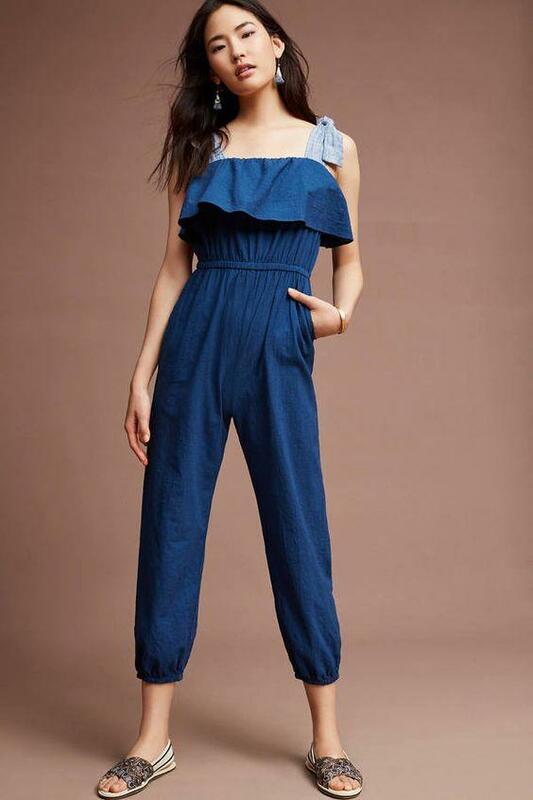 Just check out a bevy of jumpsuit-based outfit ideas to help you in finding the best ways to wear them. Long sleeves are the go-to option for colder days or for the girls who have big and chunky biceps. I just found this piece so easy-on-eyes and adorable—adjustable strings in front makes it easy for you to set your fit. Utility silhouette makes it a great choice for the off-duty hours when you are doing nothing but lounging around with friends. Red is a color that never goes out of style—especially in the colder months of the year. Whether it is about a Sunday brunch or a night out in the town, a red jumpsuit is always appealing. Take a look at the images to get some visual advice for both casual and formal occasions. Are you looking for some inspo for wearing something cool on a day out (with bffs or bae)? It can always be a jumpsuit. The variety of preppy styles and prints makes it an ideal choice for every occasion. 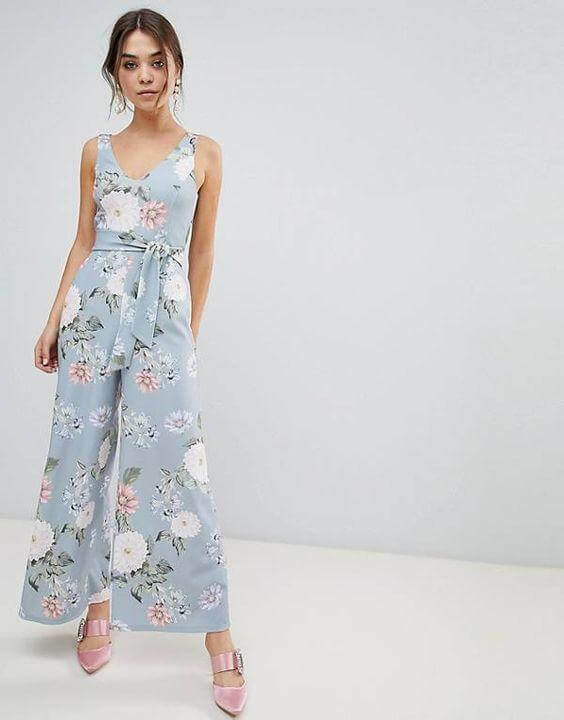 For daytime summer events, choose something pastel in floral print or plain; and in winter, striped/checked jumpsuits or the ones in polka dots promise a chic appeal. I just found this purple jumpsuit so adorable for pulling off on fun occasions. This slim lace up style is perfect for showing off your curves. For a more sassy and flirty look, get it transformed in one-shoulder style, just like in the image below. For more formal occasions like some party or even a wedding ceremony, it is always advised to handpick some formal jumpsuits with more feminine appeal. Just check out this piece with halter style neckline and cut out detailing—addition of D ring belt makes it a great choice for formal events. For bigger events like a wedding, check out the other image of a laced jumpsuit. Plunging V neckline and accentuated shoulders, all tend to give you a super stylish and tailored look. 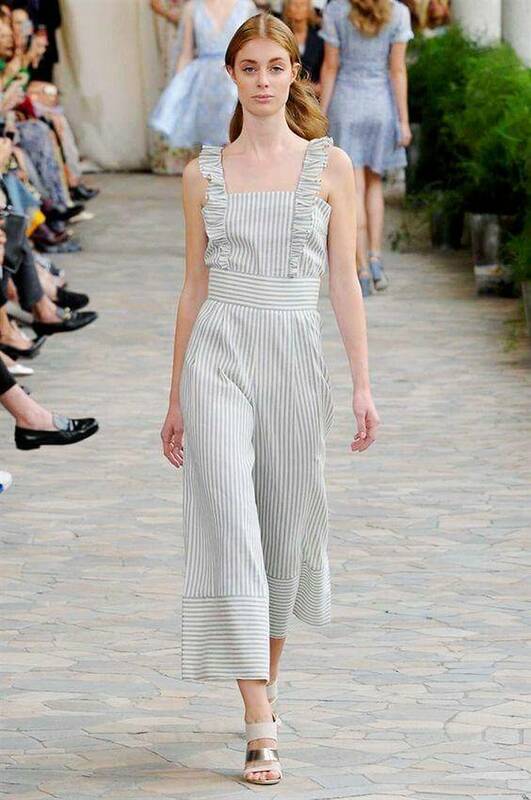 For hot summer days, trying a wide legged jumpsuit is a great option. Beside being airy and flowy, they promise a culottes-inspired style, which is quite appealing as a trend. You have no restriction of colors or print—both plain or printed can be tried. As it is about the hot season, pieces with strappy shoulders should be preferred. For partying and night out, it is always good to try fancy pieces with sequined detailing. My personal favorite is always a gold jumpsuit. Check out the image for some visual advice. For casual and laid-back occasions, wearing casual jumpsuits is the easiest thing to do. Just style up in loosely fit and comfy pieces and get a super stylish street style. When we talk of something elegant and classy, nothing beats black. A black long sleeve jumpsuit not just gives the illusion of a slimmer you; it also promises an instant fashionable look. For adding more glamour, accessorize your fashion staple with a state-of-the-art neckpiece. Something like this. Pulling off something with sheer detailing is talk of the fashion town—one piece jumpsuit is not an exception. Give your jumpers a touch of sultriness by incorporating some see-through detailing. Wanna try something girly? How about pulling off a romantic and feminine pink jumpsuit? Pink is the least risky hue that looks good in all fabrics and styles. For parties and fun events, give simple pink a bolder look—go sleeveless with plunging neckline. For foot wear stiletto are the best. If it is about daytime, grace a simple style with stylishly cut plain jumpsuit in pink. Sheer lacy details always add class to your whole outlook. Add a romantic glow to your look by wearing a lace jumpsuit in some adorable shade. Teaming up of halter neckline and stiletto heels complete your look. For the warmer seasons like spring or summer, floral prints are the best—especially the ones in pastel shades and no sleeves. Feel airy and refreshing this summer with something like this. Rompers are yet another girly item that we all love to wear in summer. 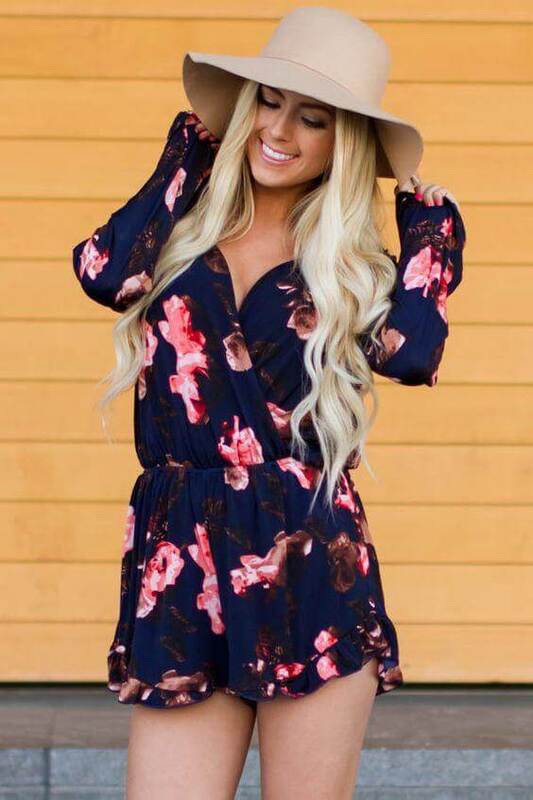 Long sleeve romper with floral prints are one of the trendiest street styles. Check out this navy romper, pretty pop of color over navy blue shade adds a refreshing feel. Check out this stylish piece, all white with addition of bold colors and an abstract print. The whole combination brings out something exceptional. For a casual yet chic look, you must give a try to a jeans jumpsuit. Fit and flared items should be handpicked. For an added flavor of flirt, go on with deep necklines or strappy shoulders. When it comes to wearing a jumpsuit, it is very important to opt for the right cut and right fit. A jumpsuit should not be too loose or too tight. A loose fit would obscure your own body and curves, while a tight jumpsuit means nothing but discomfort. In the end of our article, we hope you would have found enough styling inspiration here, and it would no longer be confusing to pull off a jumpsuit like a celebrity.